My boyfriend and I love a cheeky tipple at the weekend, but usually always stick to the same drinks every weekend. We love Prosecco and gin a LOT, sometimes even together! When I heard about The Summerton Club, I was really intrigued by the concept. The Summerton Club is a craft spirits members club, that curates and delivers the finest aged alcohol from around the world (brandies, rums, whiskies and more) directly to your door. You simply choose the frequency of the spirits subscription box, and the Summerton Club does all the hard work for you in sourcing the best variety and quality in spirits. 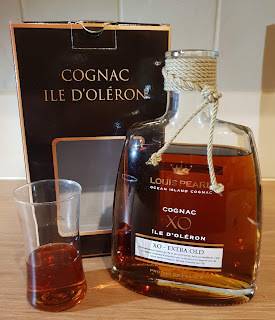 They shared with me one of their future Bottles of the Month, Louis Pearl Ocean Island Cognac XO. This Cognac is a blend of brandy whose youngest is at least 10 years old. It is an artisanal cognac, exceptional for its finesse. 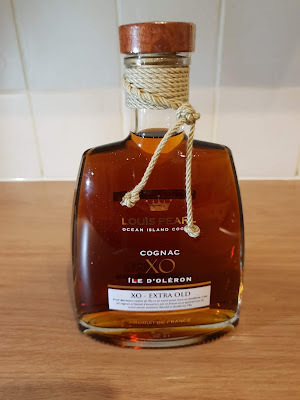 On the Eastern edge of the Cognac region an island juts out into the Atlantic Ocean. Oléron Island has been producing wine since the third century, when Roman influence introduced vines. Now vineyards cover 5% of the island and there is evidence of their traditional craft around everywhere. I love the bottle, and to cool rope around the neck of the bottle. It is very harmonious on the palate, with hints of caramel, dry fruits and biscuit to the taste. The Summerton Club offers free delivery to anywhere in the UK, and their aim is to ensure that you can't buy these bottles for less than the cost of the membership to the club. How often you receive the bottles us up to you. You can also choose a whiskey subscription box that is sent bi-monthly, as well as the quarterly options. For more information on how to join the club click here.